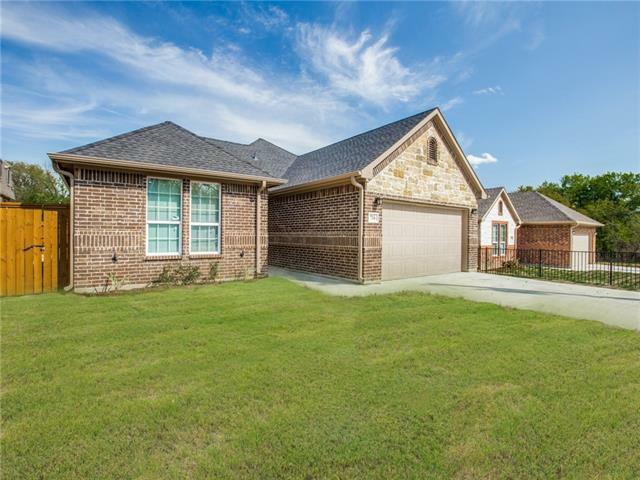 All Cockrell Hill homes currently listed for sale in Cockrell Hill as of 04/21/2019 are shown below. You can change the search criteria at any time by pressing the 'Change Search' button below. If you have any questions or you would like more information about any Cockrell Hill homes for sale or other Cockrell Hill real estate, please contact us and one of our knowledgeable Cockrell Hill REALTORS® would be pleased to assist you. "Beautiful 2018 new construction home with welcoming open living, dining, kitchen floorplan. Glass tile backsplash in the kitchen complements the warm natural wood cabinets and granite counters. Sit at the breakfast bar and enjoy the light filled rooms with 9' ceilings and a 10' tray ceiling in the living room. Adjacent dining area for more formal gatherings. Master suite for total relaxation features 10' tray ceiling, spacious walk in closet, en suite bath with granite counters, separate garden "
"Nice brick home just needs updating and will make a wonderful home for someone. Located on an over-sized lot with great trees, plenty of room to build a garage. 4 bdrms, 2 baths. Stainless steel appliances. tile counters, gas cooking, ceiling fans. Home has wood floors. On a quiet street. Make it your own with updates!"